Caudalíe is fast becoming one of my favourite skincare brands,the sorbet moisturiser (full post here) is my holy grail and at the moment when its hot outside it seems to be working really well. Not too heavy, keeps my skin nourished and smells divine. 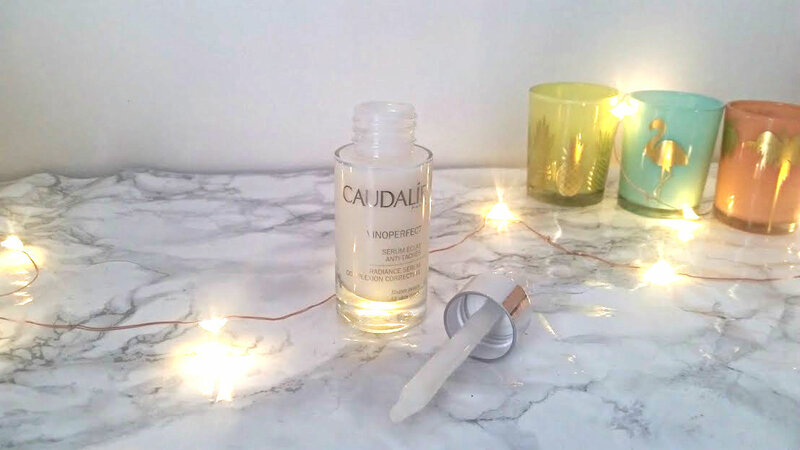 These past few weeks I have added in the Caudalíe Radiance Serum* in to my routine and it too has become a favourite of mine. 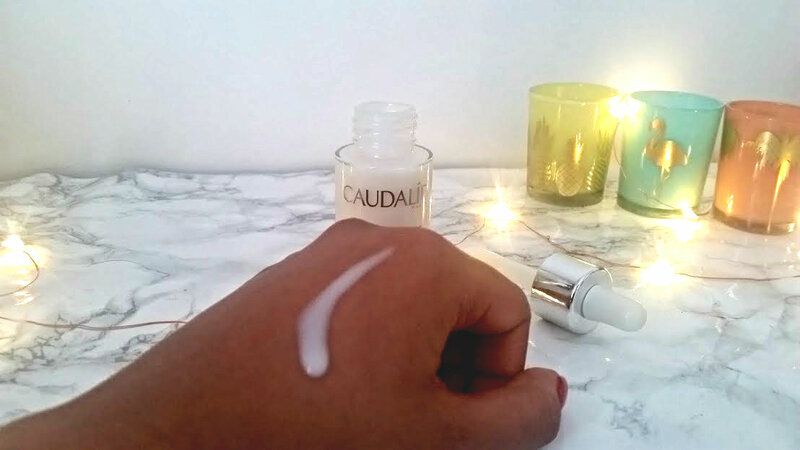 The Caudalíe serum is described as a lightweight, age-defying serum that corrects and prevents dark spots, evens skin tone and boosts the skin's radiance. Its highly concentrated with Viniferine to counter sunspots, acne marks, scars and damage all to give a brighter, more beautiful complexion. The packaging of the serum is beautiful! It comes in a heavy duty, 30ml glass bottle with a pipette applicator to make applying the milk like serum to your face and neck. It retails at £45, which makes it a very luxurious and high end but paying money for skincare that works well, makes it worth while. 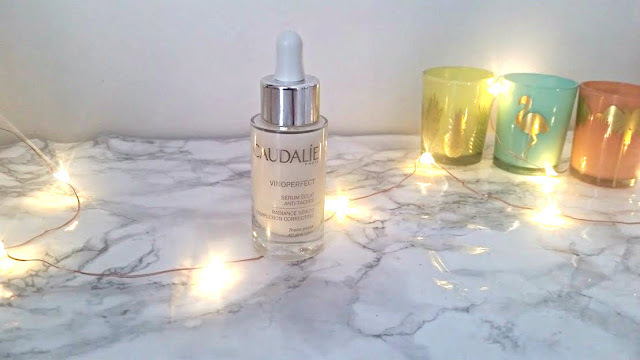 Its recommend to use the serum twice a day before moisturising, I have used it with the sorbet moisturiser (its partner in crime) and others to see how it works. The formula/ingredients in this serum are so simple and thats what makes me love that even bit more. Verdict? I've been using this for a few weeks now and love the feel of it on my skin. It sits really well and the oil free formula is great for my combination skin. Its helped ever so slightly with the acne scars on my forehead but I think I need to use it for longer to see a drastic change. The different I have seen is in my overall complexion, its so much brighter and glowy. As the serum is so thin it applies to the skin like a dream and sinks in straight away. Its an extra step both in the evening and morning but I'll do anything for a natural glow. 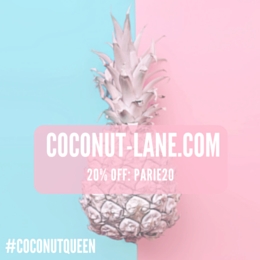 It really is the perfect summer skincare item! The Serum is available to buy for £45.